When I was a kid my winter days were filled with sledding, ice skating, skiing, igloo building and snowball fights. But as I’ve gotten older, winter has lost some of it’s appeal to me. Maybe as a kid it was my friends that motivated me to get outside, or maybe it was my mother who insisted my sister and I find something to do – other than torment each other. Regardless, it’s been a cold and snowy weekend here in the Finger Lakes. Not complaining though, the big snow maker in the sky has tread lightly on our region so far this year. We’ve had a lot of unseasonably warm, and yes, sunny days. Whether you hibernate, or love spending the day outside, this soup will warm your spirits and fill you up. Cut tips from asparagus spears – approximately 1/4 of the way down the spear; cut tips in half again; set aside. Place stalks in a large stock pot and cover with water (you will need 3 1/2 cups of broth later so be generous with the water). Bring to a boil and reduce heat. Cover and simmer for approximately 40 minutes. Remove from heat. Strain 31/2 cups asparagus broth from the pot and set aside. Discard stalks; rinse pot for late use. In a medium sauté pan, add 3 tbsp. oil: cube chicken breast and cook until lightly browned; set aside. In stock pot, add chicken, sautéed vegetables, asparagus tips, reserved asparagus broth, chicken broth, salt, and 1/4 teaspoon pepper. Bring to a boil, reduce heat, and simmer uncovered for about 30 minutes. Cool slightly. Add cream and remaining 1/4 tsp. of pepper. Bring to a boil and reduce heat; simmer uncovered for 5 minutes. Makes about 10 servings (about 2 quarts). My mom’s vegetable beef stew is my favorite, but I will have to make this for her…she loves asparagus (and I do too!) Thank you for sharing with me. As always, delicious and inspiring. Now I want to get home and cook. I hope you have a blessed day! I haven’t had beef stew in years. I love it after it’s cooked all day and the meat is so tender – yum. 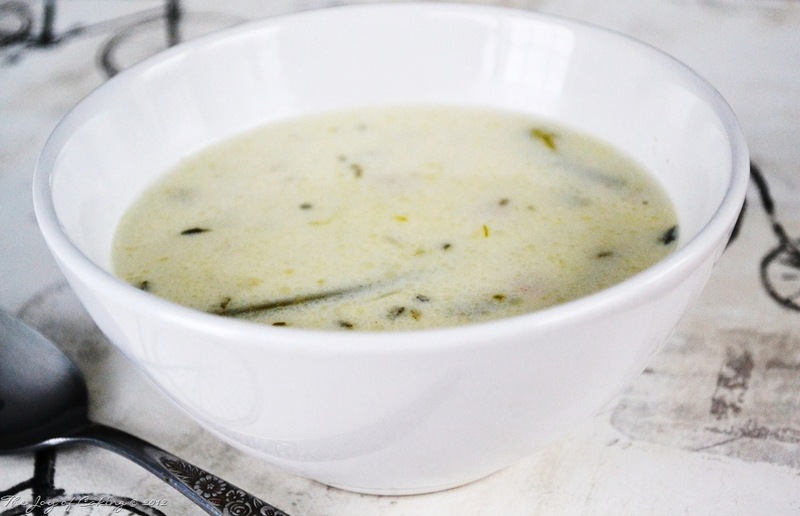 The soup would pair well with one of your homemade roll recipes – guarenteed! I’m looking forward to making this. It looks delicious! I really enjoyed it. I hope you do too! I am sure that once I try this it will be my new favorite. Always been a fan of asparagus, even as a child. My mom made such a soup a lot during the holidays. Creamy goodness! 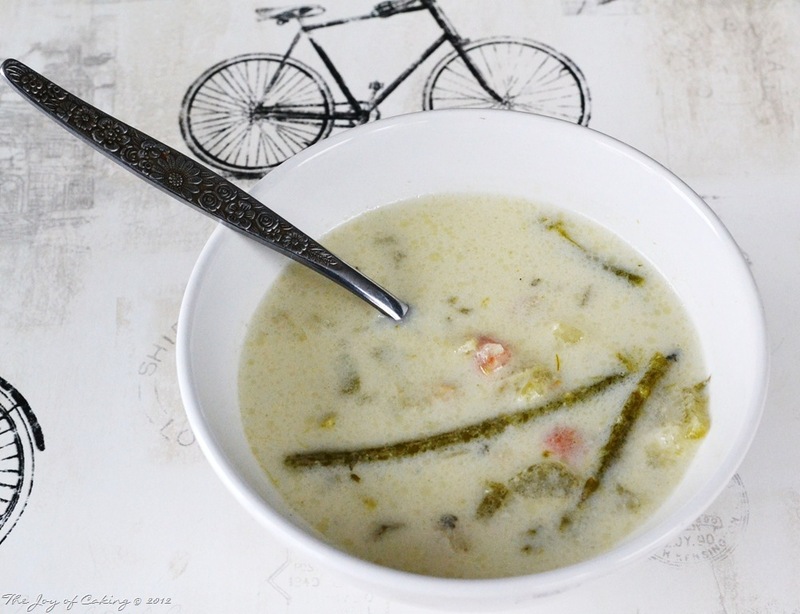 Asparagus is one of my our favorite vege’s to cook up – great idea for soup. Putting asparagus in that soup is like filling the bowl with the promise of spring to come. It sounds delicious!